Are you tired of productivity consultants—or worse, your boss—pushing you to do more with less? You’re in luck. 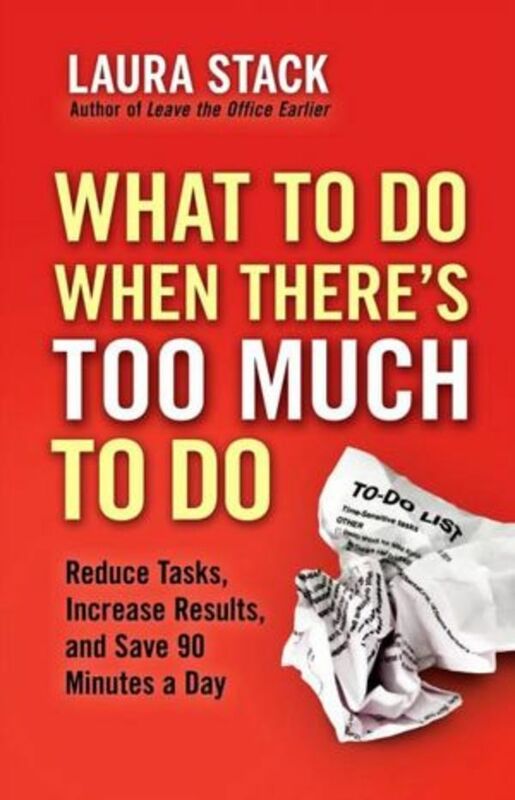 Laura Stack knows your to-do list is already packed to capacity, so she shows you how to accomplish more by doing less. Yes, you read that right. Stack’s innovative time-management system lets you work less and achieve more. Following Stack’s step-by-step Productivity Workflow Formula, you’ll organize your life around the tasks that really matter and—this is crucial—let go of those that don’t. Dozens of practical strategies will help you reduce your commitments, distractions, interruptions, and inefficiencies. You’ll shrink your to-do list and save time—around ninety minutes a day—while skyrocketing your results and maintaining your sanity. —Dianna Booher, author of Creating Personal Presence and Communicate with Confidence!